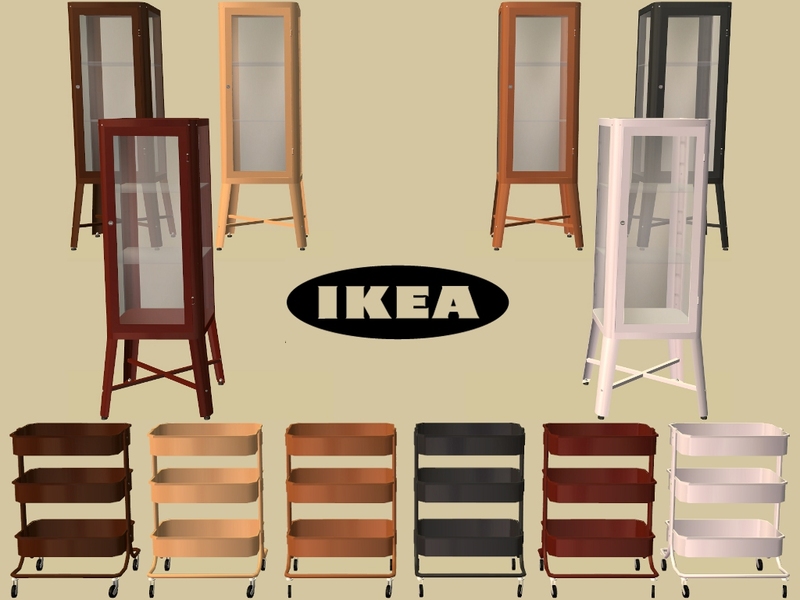 6 recolours of nanashi's FABRIKÖR Glass-door cabinet & RÅSKOG Kitchen Cart. The MESHES ARE NOT INCLUDED you can find them HERE & HERE. I have added the meshes as the links to the meshes are broken and I am unable to find new links. 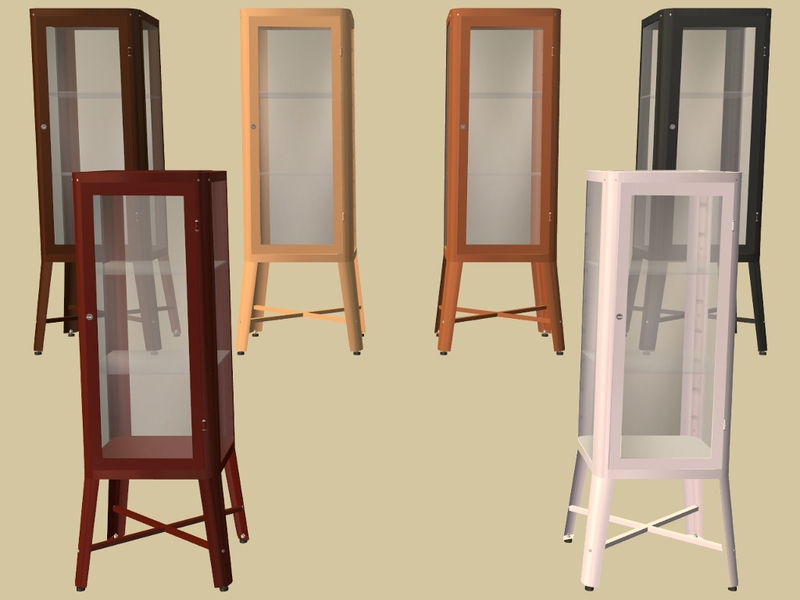 FABRIKÖR Glass-door cabinet - Found: Buy Mode > Surfaces > End Tables. Price: §179. 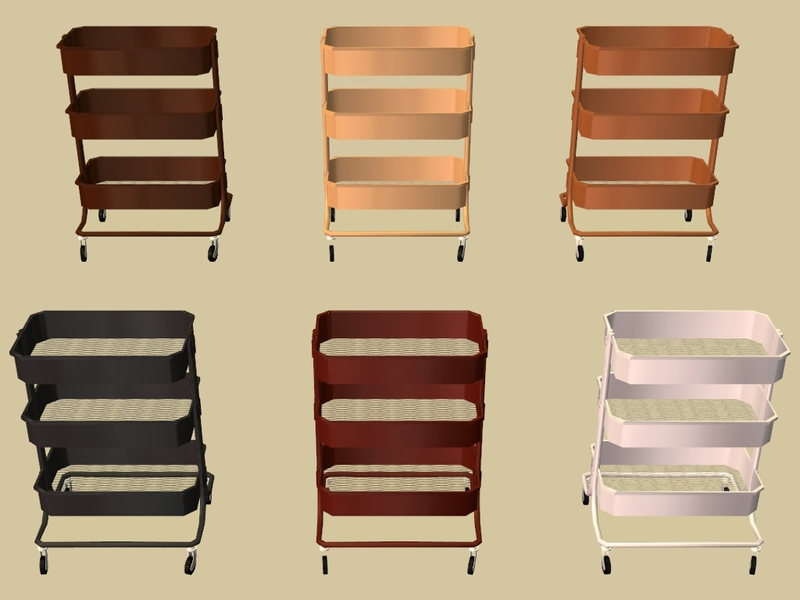 RÅSKOG Kitchen Cart - Found: Buy Mode > Surfaces > End Tables. Price: §49. Um... Where can I get the mesh???? The link is dead.